Here’s a quick guide to some of the key things you must do when you’re preparing to spend your hard-won cash on promotional products for your business or products. This is Rule number 1, without a doubt. We promotional products manufacturers and distributors are lovely people (especially us) and given time, will work wonders to bring you lots of lovely promotional products, proudly displaying your logo and ready to bring you a fab return on your investment. However, ultimately we’re human and need some time to work our magic for you (not to mention maintaining a healthy work-life balance!). In many cases, promotional products are sourced from outside the UK and have to be manufactured, branded then imported; a process that can take several weeks to several months depending on the quantity and the product itself. So please remember to take this into account when planning your next promotional campaign or event. Rush-orders do happen but McMurphy’s Promo Law dictates that if something can go wrong, it will happen on a rush order. The good news is that UK manufacturing or branding of promotional products is available for certain products, so we can turn those around pretty quickly. If you leave it very late to order (or you’re let down by another supplier), we will always try to help you wherever possible. We give this one equal weighting with Rule Number 1 above. First of all, think about your prospective customers and build a short-list of products that you think they would like. Second of all, make sure that all “throw-away” products are crossed off your short list. You know the sort of thing – those annoying little ad-bugs, branded paper/poly bags. Our advice: always choose something that’s going to be useful to your customers. That way, it’ll stay with them for longer, giving your brand the repeat exposure it deserves. For example, if it’s going to sit in an office somewhere, ensure it offers maximum repeat exposure of your brand. 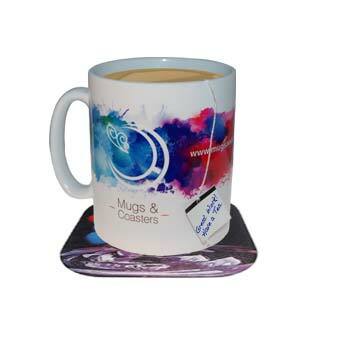 Brilliant examples of desk or office items are mousemats, coasters and mugs – always on the desk, and in full view of your customers. This helps to ensure your brand is retained and helps to build trust in your brand with your prospective customer base. Other examples of good, hardworking promotional products are keyrings, fridge magnets, pens – anything that will find a home in the daily lives of your prospective customers. If you need any clarification on artwork requirements, we will be only too happy to advise. If you have a 72dpi resolution 20 x 20mm version of your logo in Word and expect it to print well when blown up into a 235 x 200mm mousemat or a 594 x 420mm countermat then I’m afraid we’ll need more to work with. Send us through what you have and we’ll advise. If you’ve ever had any company stationery printed (business cards, letterhead paper, compliments slips etc., then the chances are that you’ll still have the artwork on a hard drive for these – if so, there’s a very good chance that it will be in vector format and can be scaled up beautifully. We will even help you get artwork together free of charge as part of your order if you supply the components in a format that can be used. Images must be at least 300dpi resolution at 100% the size they will be on the final product. Rule 1 also applies when it’s time to re-order. Even if your re-order is identical in every way, your products still have to be made to order. If you over-order, and it’s not a perishable product of course, then they will get used up eventually. Remember, it’s better to have products available to hand and not need them than to need them and not have them. Always keep some in reserve.